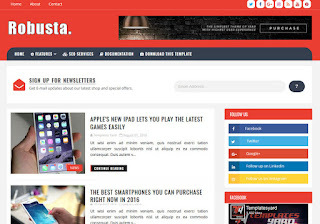 Robusta Blogger Template is a high quality, use-friendly, creative corporate business blog blogger template. 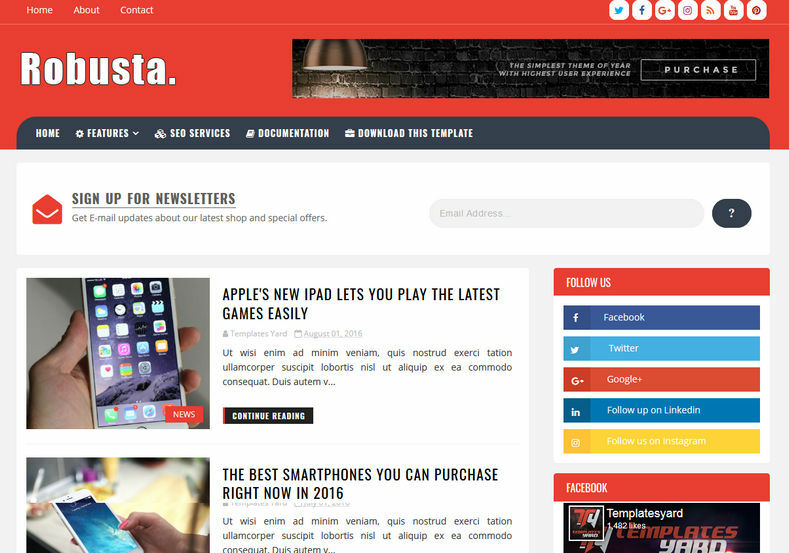 When it comes to writing daily blogs, Robusta is exclusively made for you, so you can brag about your products and etc. It comes with standard features that a simple blog needs. We haven't added any fancy features like we always do with our other templates, instead we have gone with keeping it simple approach. !